Live at Birmingham’s HMV Institute 3rd November. 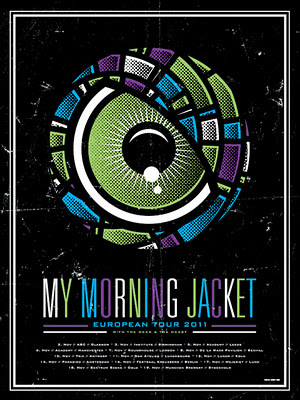 My Morning Jacket’s 14 date European tour began in Glasgow on the 2nd of November and ends in Stockholm on the 19th of November. With a Jools Holland Appearance and their tour opening show the night before, My Morning Jacket arrived at Birmingham for the first time to perform a show which had the passion and ability to capture their diverse crowd. Opening the night was support from Sub Pop’s The Head And The Heart. Americana acoustic Seattle based 6 piece. 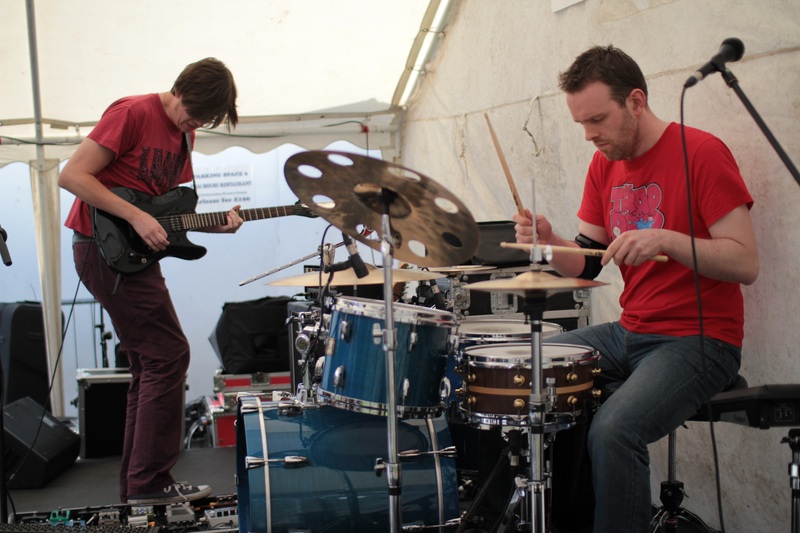 The 6 warmed the stage with amorous symphonies of percussion, violins, vocals, keys, bass and a mad obsession with maraca’s. But it was the sudden intense projected wall of feedback and My Morning Jacket taking to the dark stage which immediately raised expectations. Jim James, Tom Blankenship, Patrick Hallahan, Bo Koster and Carl Broemel made their presence known. A black stage lit up by the sudden flicker of blue lights and the brightly lit sequencer hanging around Jim James’ neck. As made aware, the Louisville 5 piece like their shows to hold a legendary presence. Lighting Designer Marc Janowitz immerses the audience with an ultra-sophisticated blend of colors and shapes. The audience response to the sight/sound is emotional and visceral. And in keeping with this view, the lighting really did aid the performance, for it was the ending of the first track Victory Dance where red and blue lights dimmed the notable Circuital album artwork centred the stage backdrop. Almost three years since the last release from My Morning Jacket, the men showcasing their most recent release Circuital. 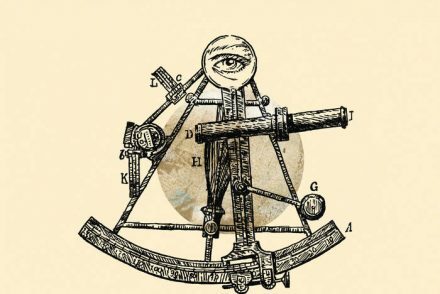 Circuital recorded, was laid down almost entirely live as the honest spirit and human spontaneity are felt throughout the listening experience. 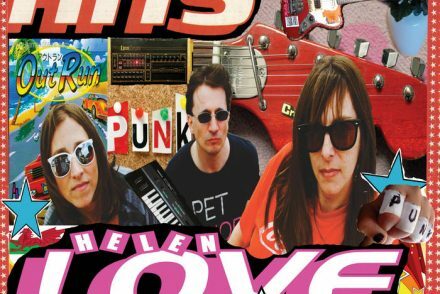 Having recorded the album in such way, its then delivered live in the same fashion. The energy and honesty so apparent throughout. The collection of songs all projected in a way so truly eclectic and entrancing from beginning to end. Their set list constructed by not only just showcasing the newer material but a balanced collection of tracks from their last 4 studio albums. Opening the night with Victory Dance which from the onset was delivered in a mesmerizing fashion. Adjourned with thunderous bass stimulating the surroundings. Their set, which is listed in its entirety below, later went on to play an epic version of Dondante. A crushing finale to the track before led to a sudden scrutiny on the impromptu silence that dawned the room. Slowly, anticipation building, a lone riff played. This followed with one light shining down on Jim holding the stage with a towel draped over his head; zoned into holding a few notes. Gradually these notes assembling together, the ambiance amalgamating to a tight unison of all members. An 8 minute track on record was performed live in an outstanding 15 minute version amplifying the set just half way through. But it was the invigorating powerful sax solo from Carl Broemel which left the entire crowd in awe. How such long lasting notes were held in tune for such a significant amount of time was attentively received. After such an exceptional performance the set digressed to Touch Me I’m Going To Scream Pt. 2 which began with the allusive omnicord creating a repetitively alluring melodic harmony, changing the powerful direction the band since progressed. 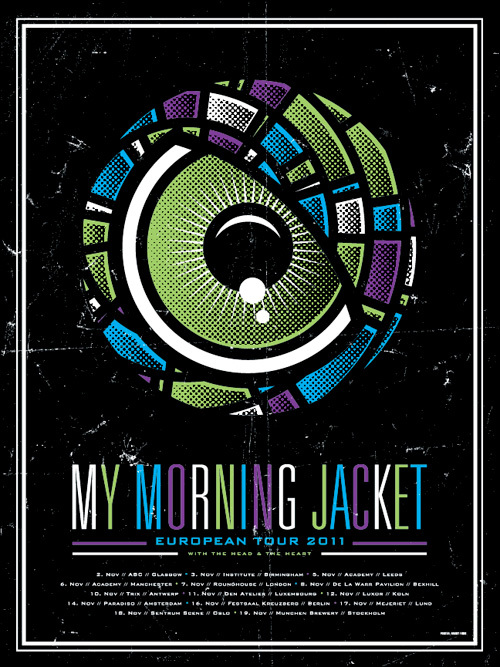 Unfortunately, during the heated performance enabling the band to leave the stage for the reception of their encore, it was noted a flurry of stage crew running behind the stage, when Jim approached the encore to My Morning Jacket’s set it was announced that equipment had caught fire and inevitably the outcome resulted in it being impossible for all five figures to finish their performance together. This resulted the encore being an intimate performance with just Jim, his acoustic and the grand scale hall assisting in propelling his strong vocals. Stunning renditions echoed the building for an entrancing delicate finale. Each track throughout the set built up an elongated emotional and enchanting crescendo with fierce outcomes. Each track and each motion from the members unpredictable. They can fill the room with their passion alone or all together as a full band. 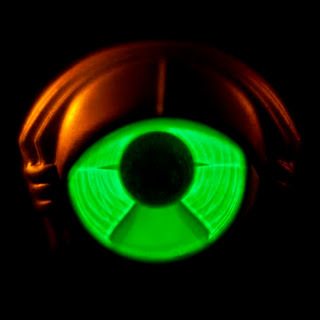 My Morning Jacket’s perpetual drive to experiment with new ideas throughout each release is what accounts this band for their talent.